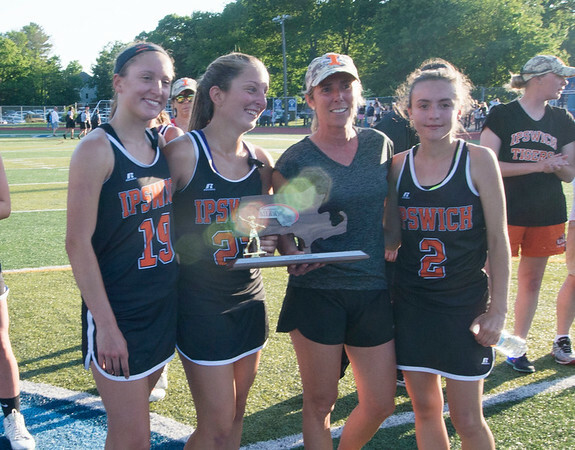 JIM VAIKNORAS/staff photo Ipswich captains Julia Glavin, Delaney Whooley coach Kerri O'Connor and Kelsey Daly hold the runner up trophy at Peabody High School Friday night. Newburyport defeated Ipswich 15-11 claiming the Div. North Championship.